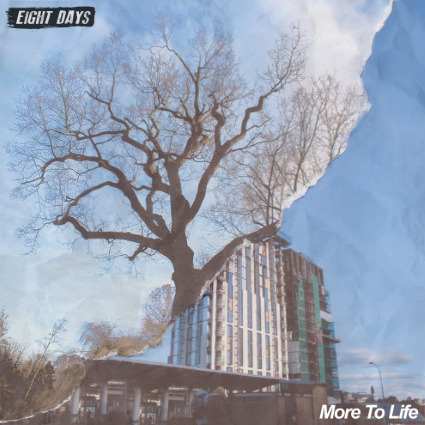 On their gritty new EP More To Life, London punkers Eight Days pull nary a punch, delivering dangerously urgent line after urgently dangerous line, connecting like a knockout blow over the course of only 4 brief entries. Absolutely mammoth riffs litter opener “Was It All Worth It,” which feels a bit like Every Time I Die thanks to raw strained vocals strewn across a caustic soundscape and “Unclear” somehow manages to pick up the pace from there, delivering pissy and abrasive vocals paired perfectly with emphatic guitars, while closing effort “Walls” introduces some beautiful breakdowns into the mix, ending the all-too-brief More To Life on a pretty damn high note. This EP is honest to say the least and if it accomplishes nothing else, its evidence that punk is not dead. And if Eight Days has any say in things, it’s quite far from dead in fact.